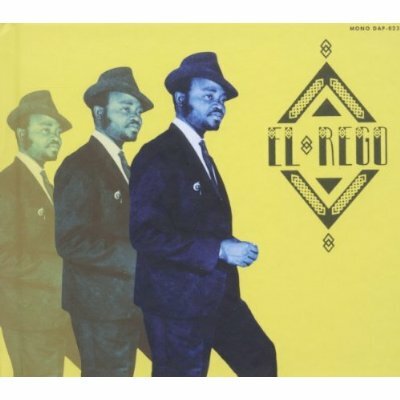 This week on Your Morning Brew, Jim's Global Express (7:20am) is the self-titled release El Rego, featuring 12 of the greatest songs of the 60s and 70s from one of Africa's leading soul artists. This new compilation releases on Daptone Records on October 25th. The Brew's Featured Album of the Week (8:20am) is the new release from Feist called Metals, called "her best album yet" in Rolling Stone magazine. Over on The Home Stretch, Carol's Local Pick of the Week (3:30pm) is actually five different artists, as she's previewing some of the local blues artists that will be gracing the SABHF Blues Festival stage this Sunday at Reid Park. You're invited to come down for a day of fun, but if you can't be there in person, you can always catch our tape-delayed broadcast starting around 12:30pm Sunday. The National Pick of the Week on The Home Stretch is the new Hank Williams tribute album The Lost Notebooks, featuring recordings of Hank songs that Hank himself never got around to. This new album features Hank tunes by Lucinda Williams, Bob Dylan, Jack White, Sheryl Crow and many, many others. Catch a fresh cut around 5pm every day this week.